The Metssiah’s sources have officially confirmed that Seth Lugo’s “clean” MRI showed no structural damage other than a torn UCL. The UCL being the elbow ligament that typically requires Tommy John surgery when torn. In other words, Lugo has a partially torn UCL, and the Mets have a partially destroyed rotation on day two of the season. This is some classic Mets Groundhog Day news right here. Second day of the season and we have elbow tears and blister stories on a damn loop. A five alarm Panic City fire is already blazing in Flushing. The rotation is deep they told us. They said we had seven arms for five slots and that we’d never run out. The Metssiah told all of you we should keep Bartolo Colon and/or consider bringing back R.A. Dickey to gobble up innings. And what happened? Well we’re down three arms on day two of the season, and the Mets will be frantically searching the pitching scrap heap begging guys like Mike Pelfrey and Doug Fister to eat innings. But at least the Mets know what caused the injury. Also, I hear there is some thought that this is actually a new elbow issue for Lugo, possibly from pitching in the World Baseball Classic. Source says Lugo may have been pitching through a partial UCL tear even during his successful run last summer. WBC not necessarily to blame. So it looks like this was either an old injury that the Mets had Seth Lugo pitching through and it had nothing to do with the World Baseball Classic or a new injury caused by his participation in the World Baseball Classic. In other words, it could have happened at any time and the team has no idea. Not a good look for the Mets as usual. 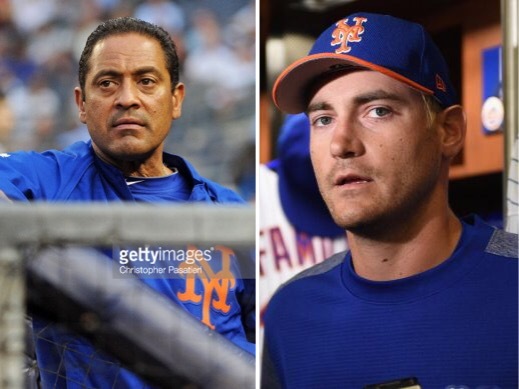 For now Ray Ramirez and the Mets say Lugo will not require Tommy John surgery. Lugo’s elbow received a PRP injection and now the team says he will rest for a couple of weeks before they seek a second opinion and ultimately shut him down completely. Pray for Lugo.